Lucia, is a feature film written and directed by Pawan Kumar of Lifeu Ishtene fame and produced by the audience themselves. Yes, you read that right! 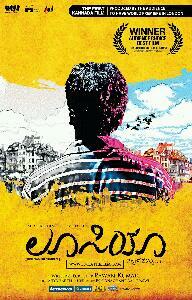 This is the first Kannada feature film to be completely Crowd Funded ! No offence to what is currently produced in the Kannada Industry, there are audiences who appreciate that content and the producers are making profits, but is everyone happy? There is a big chunk of audience who are looking for something else, something more subtle, mature, intelligent and real. Can’t a Kannada film ever be any of that? Can’t it speak of contemporary stories and personal disturbances of today’s times? Is there really no educated Kannada audience as it is believed in the industry? This is an attempt to find those audiences. No regular producer is willing to win this set of audience back. Through Project Lucia, the audiences are making a point loud and clear that they exist and they do support Kannada films made with good intentions and in good taste. 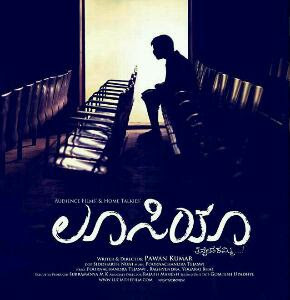 On Feb 24th 2012, Pawan Kumar decided to go public with the making of the film Lucia. He invited audience to chip in funds and become producers for the film, and they came in big numbers and Rs. 51 Lakh was raised in just 27 days. The project became a reality with no producer/star but just with the help of the audiences who wanted a change. British Council awarded us with International recognition for initiating this project.